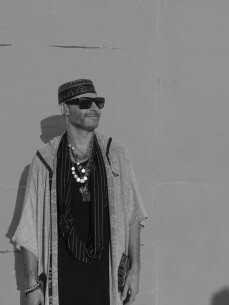 Dj and Producer William Sabatini, aka Sabo, is a staple in the global dance music community. Heavily influenced by a multitude of cultures from around the world, Sabo’s sound holds much of his intrigue. Sabo’s productions take you along a journey into sound, a sonic landscape that crosses several musical borders with mixtures of tropical poly-rhythms, warm bass frequencies, rich percussion, lush tribal vocals, and smooth organic textures. When listening you will undoubtedly find yourself resonating with his intention, imagining yourself dancing in an Amazon rainforest or on a desert plane for a Saharan sunrise. Behind the decks, his innovative approach to each DJ set makes him a consistent stand out at Festivals like Coachella, Lightening in a Bottle, Shambhala, Fusion, Symbiosis, Desert Hearts, Further Future, and Burning Man’s Robot Heart bus.